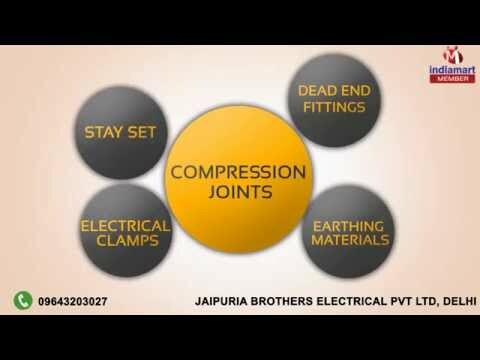 Welcome to Jaipuria Brothers Electrical Private Limited, established in the year 1974, An ISO 9001: 2008 certified Company, the prominent manufacturers, exporters and suppliers of finest quality Electrical Equipment and Earthing Materials. Offered product range is inclusive of Polymeric Surge Arresters, Silicon Polymeric Insulators and Porcelain Insulators. These earthling materials are precisely engineered from best grade metal and alloy that are sourced from reliable, trusted and well-known vendors of the industry. Manufactured as per the industry set norms and regulations, these earthing materials are known in the market for their optimum anti-corrosive property, low electrical resistance to earth and ability to carry the current repeatedly. Offered by us at industry leading prices, these earthing products are extremely appreciated among our customers.